At a time when scheming Marathi politicians are using violence to rid the state of Maharashtra of Bihari migrants.Bhonsle, an ageing Marathi sub-inspector, has just been retired against his will. He desperately wants an extension of service. But he is dying. Bhonsle is that rare breed of law-man who has more regard for the human condition than the rulebook. This turns out to be both his biggest strength… and the one thing that does him in.A solitary figure all his life, he now suddenly finds himself forging an unlikely companionship with young Sita and little Lalu, his new Bihari migrant neighbours in this mostly Marathi chawl. Harassed for being ‘outsiders’ by the boorish local political goon Vilasrao, they turn to Bhonsle. 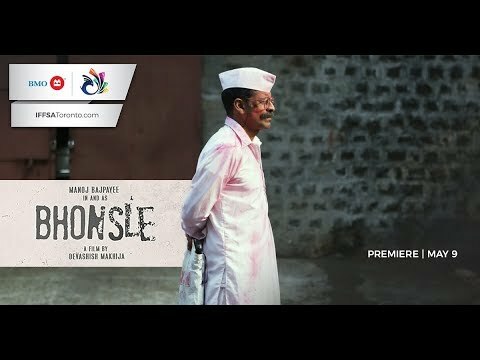 Heartbroken at having lost the life of duty he had known for over 40 years, Bhonsle stands up to the challenge, finding one last battle worth fighting for. His noble but desperate action brings a vicious and unexpectedly violent turn. It is his fault and he must now face the consequences, or risk losing the only two people in the world he has only just started to love.